How can you improve your self-esteem in 3 easy steps? Since all the next steps are located within the digital workbook, you need first to download the RISE Self-Esteem mobile app (available on both Apple Store (v4.0 coming soon on iOS) and Google Play). 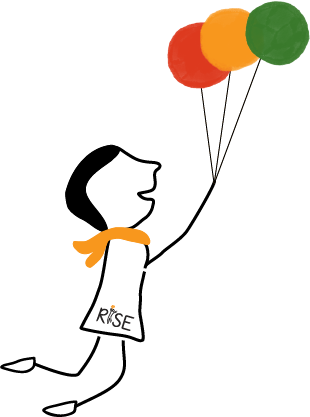 3- Start doing good actions and keep track of your progress by using the RISE mobile app workbook. Do not forget to check your daily results. You can also write some notes in your RISE personal journal. 4- After 10 days, you should have been able to test the meaningfulness of the RISE Self-Esteem Method. But what if you dared for more and unlocked your fullest potential by going Premium?